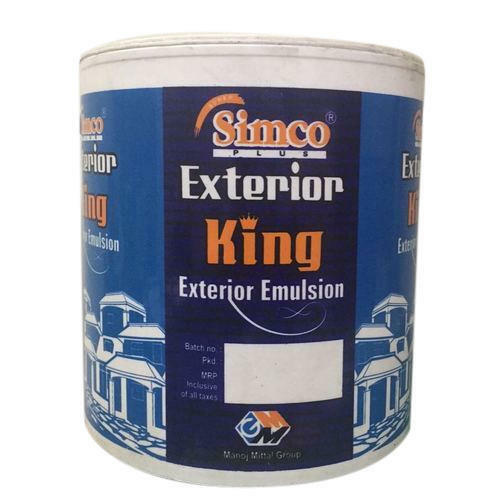 Being a leader in this industry, we are devoted towards providing a premium quality array of Simco Exterior Emulsion Paint. Established in the year 1990 at Navi Mumbai, Maharashtra, India, we “Simco Colour Co.” are Proprietorship Firm and acknowledged among the noteworthy Manufacturer and Trader of the best quality Wall Putty, Cement Primer, Distemper Paint, Emulsion Paint, Cement Paint. With the support of our mentor “Manoj Mittal (CEO)”, we have been able to attain a huge client base. Simco products are distributed through a network of more than 200 dealers spread across Maharashtra, Karnataka and Goa.